Boat Owners Association of The United States (BoatUS) in partnership with GEICO Military is offering active-duty U.S. Armed Forces members a complimentary one-year BoatUS membership ($24 value) as a way to say thanks for serving. With more than a half-million members nationwide, the association offers a range of valuable and practical benefits that will help any service member get more out of his or her love for boating. They include reimbursement of the first $50 for any on-the-water or on-the-road breakdown towing and assistance service, free online boating safety courses that meet boating safety certificate requirements in 36 states, and a subscription to BoatUS Magazine. The BoatUS Foundation’s online boating safety education programs fit well with busy military schedules, and new on-the-water courses offer an affordable way to get hands-on training with U.S. Coast Guard-licensed captains. BoatUS government advocacy efforts make boaters’ lives better by pushing for pro-boating legislation, and BoatUS Consumer Protection programs help educate boaters to make them smarter consumers of power, sail, and fishing boats, boating products, and services. 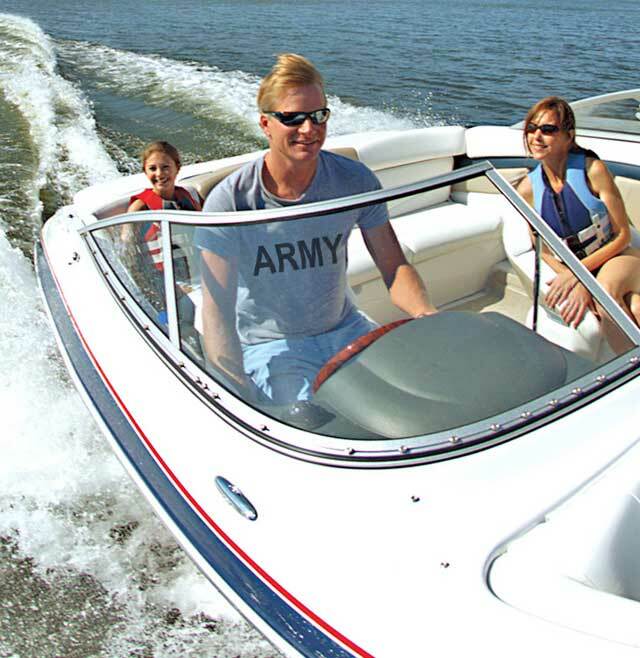 Military members who own a boat also receive a 10 percent discount on BoatUS Unlimited Freshwater, Unlimited Saltwater, and Unlimited Gold towing service plans that can be added to their membership. To receive the BoatUS Membership for U.S. Armed Forces offer, personnel can sign up at BoatUS.com/Military.